A popular question from producers before sending their tracks to us for mastering is “where do I set my levels?” To keep things simple, we’ve told them “just make sure it’s not clipping”, but there is an optimum level. This video will walk you through the recommended steps to achieving those optimum levels. 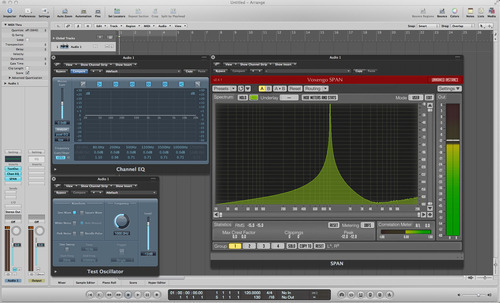 Thanks for the post about the Channel EQ in Logic. Are you still using Logic much? Are there other DAWs you are working with (Ableton Live, Reaper)? 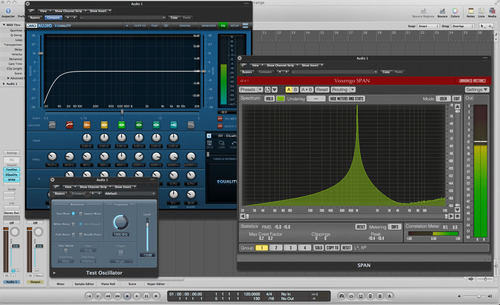 And any other surprises about Logic native plug-ins that users might not know about? I do use Logic for production still because I’ve used it since Logic 4 and being comfortable is a big factor when it comes to getting ideas down. It’s fallen behind most other DAW’s though…things like audio editing, 32bit audio… I like Ableton alot, it’s very conducive to being creative. I don’t love mixing in it but it’s possible. 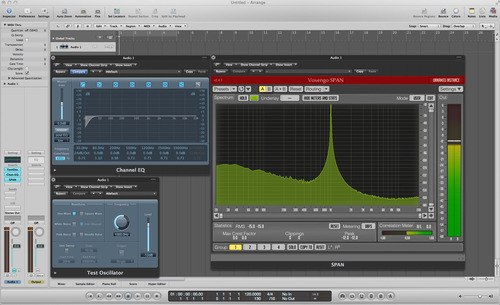 Re: Logic native plugins…yes there are, but nothing as massive as the Channel EQ issue I blogged about. alot of plugins, native to Logic or 3rd party, have their share of issues. it’s important to trust your ears or at least do some research on what plugins are known to perform well. there’s potential for lots of coding errors in these things that can damage your audio. Start with finding one really good EQ and one really good dynamics processor to build a solid foundation for your mixes. Back in 2005, while producing the Welcome To Violence LP with Gridlok, Keaton & Echo, we noticed something strange when using Logic Channel EQ. Even with less than adequate monitoring at the time, we heard the low end fall apart when applying a low cut filter to a kick drum. After testing further we agreed that it did indeed sound bad and moved on to using a different eq for low cut filtering. Fast forward a few years and I discovered a way to test plugins and see what’s happening on a graph visually. Of course, one of the first things I wanted to check was this anomaly happening in Logic Channel EQ’s low cut filter. I dunno about you, but when I insert a low cut filter I’m looking to remove bass not add it!. What you’re seeing here is distortion, hardly professional quality. I’ve yet to find another digital eq that does this. I find it appalling that it’s been over 8 years and Apple have yet to fix or even acknowledge this issue. 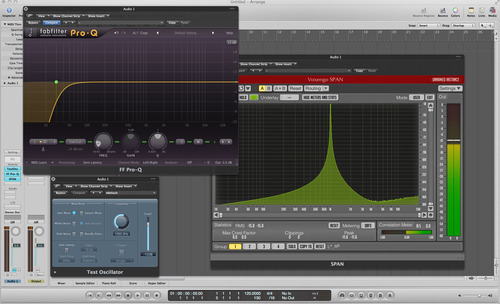 Most Logic users trust this eq to be of professional quality and use it all over their tracks. There are other avoidable things in Logic that reduce sound quality but hopefully the imminent release of Logic 10 will fix them. Stay tuned and feel free to comment or ask any questions. I would love any tips pertaining to a track with vocals or parallel compression or what to send to an effect bus or what not to send to a bus and just put the effect on the channel. I feel like im just guessing when it comes to this kind of stuff. say you want to add a reverb to a track…if you insert the verb on the track, you’re limited to the processing in the reverb plugin itself (filters, maybe some simple eq). if you were to put the verb on an fx bus send/return, you can follow it up with your favorite eq plugin to shape it with more detail (low-cut filter out the rumble, eq out mud or unmusical frequencies, brighten it etc). in Ableton Live, you can get around this by inserting an FX Rack on the track and make your own custom chain. the same goes for parallel compression…a lot of times it’s nice to run the compressor in parallel with aggressive settings and eq the compression (try -10 to -15db around 400-500hz with a wide Q). I don’t know of any compressors that have that sort of eq onboard so you’d have to run it as a send/return or use the FX Rack in Ableton. sometimes it’s fine to just insert a reverb with an internal lowcut filter to keep it simple and work fast but eq'ing your verbs can really clean up your mix. also this can be applied to any processing, not just verbs and parallel compression. Having a tight bottom end and center image is key for dance and bass-oriented music. There are plugins that can accomplish stereo-to-mono in a matter of seconds but this tutorial covers a slightly more advanced way of achieving it whilst yielding more options to take your sound further. Welcome to the Darkart Mastering blog. We’re here to answer any questions you may have to improve the quality of your mixdowns or get the most from your master.